Cette maison victorienne amusant est niché dans le quartier historique Boyne City. Marchez (vraiment) au centre-ville pour les restaurants, divertissement et de shopping. Boyne Mountain et Avalanche Bay sont à seulement quelques minutes. Nubs Bouton est un court 30 minutes. Beaucoup de jeux pour les enfants (et les adultes). Câble avec 50 pouces HD dans le salon et 32 ​​pouces HD dans la chambre principale. Wifi. Tous les draps fournis. Pas d'animaux ou les fumeurs. Impeccablement propre. 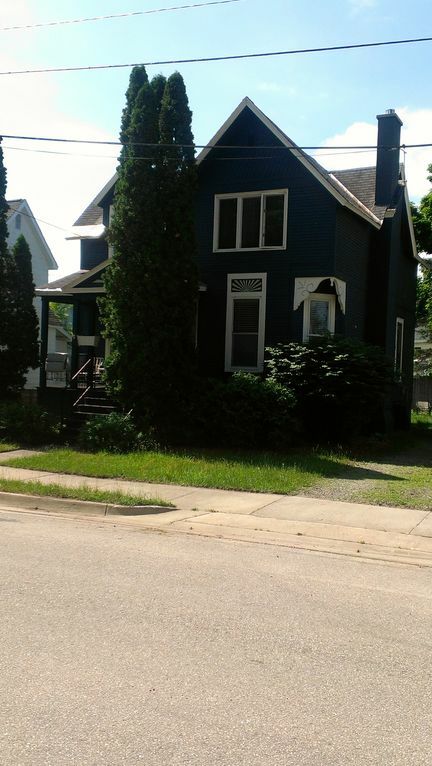 Awesome Victorian home in the heart of downtown Boyne City. Home away from home!!!! Close to everything. Would highly recommend this home! It was a great stay. The house worked great and a nice little town. Convenient Location close to restaurants, lake and all activities. Nice little town and house. Overall we loved the house for our month. Mike responded very quickly with any problems. If there was any changes that we would like to have, air conditioning in the third bedroom would be helpful plus the bathroom upstairs needs some more room. It was very tight but nothing you couldn't work around. We would stay there again for a month. We stayed here for 3 nights. It has everything you need for your stay. The location is great. You can walk to downtown Boyne City in a few minutes and Boyne Mountain is a 10 minute ride. The house was clean and had plenty of room to spread out. We had 4 adults and 2 kids. The kids loved the bunk bed. Cable Tv & Wifi. Would stay again for sure. The property was perfect for our family of 6. Bruce E & Laura A. We had a wonderful time in Boyne City. The property was conveniently located within walking distance from downtown, and very close to 3 ski resorts. Extend your stay. Add a night for only $100 additional. Ask for details.